Dr Tim Wang graduated from the University of New South Wales in 2001. After completion of Radiation Oncology training in Australia, he undertook clinical fellowship at Westmead Breast Cancer Institute and Princess Margaret Hospital in Toronto, Canada. 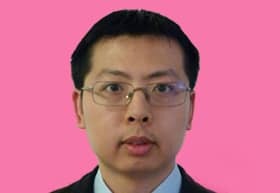 He is currently appointed as Staff Specialist at Westmead Breast Cancer Institute, Crown Princess Mary Cancer Care Centre Westmead and Nepean Cancer Care Centre. In 2011 he was appointed as a clinical senior lecturer for the University of Sydney. Doctor Lam’s subspecialty areas include breast cancer, melanoma and upper GI malignancy.